Coptic, the latest phase of the Ancient ­Egyptian language, existed from beginning to end in a multi­lingual space. The indigenous Egyptian language had been in contact with Greek – and other languages – from the first millennium BCE, as well as Arabic, since the Arab conquest of Egypt in 641 CE. In effect, this is the earliest and best-attested situation of stable language contact in the ancient world. It is also a rich source for studies on lexical borrowing, since about 5000 loanwords from Greek and some 500 from Arabic form part of the lexicon of Coptic at various stages. These loanwords are documented in a wide ­variety of genres and registers, from the language of ­theology to that of science and everyday life. 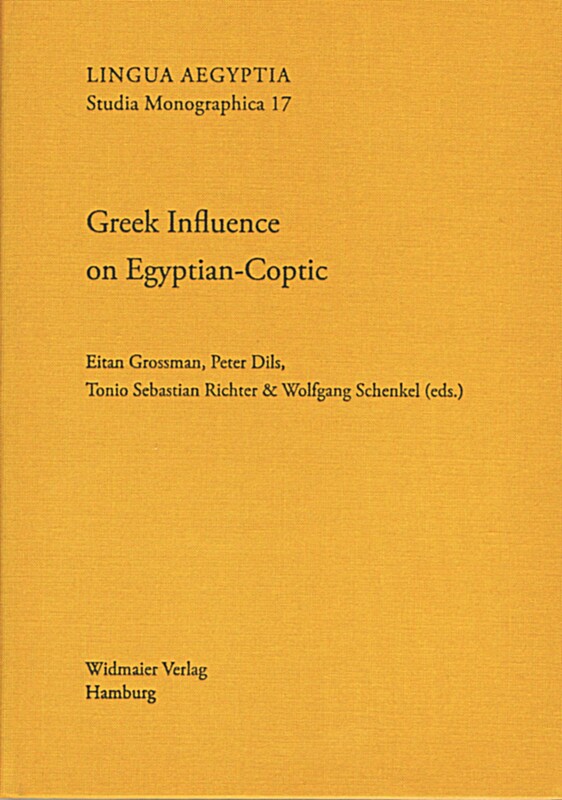 The ­focus of the volume is mainly lexical borrowing from Greek into Coptic, but other aspects will be treated as well, e.g., the sociolinguistic situation of Greek and Coptic, Coptic loanwords in Greek, Arabic loanwords in Coptic, and pre-Coptic ­evidence for lexical borrowing. A special focus will be on the sociolinguistic and functional aspects of lexical borrowing in Coptic.